Neil Isaacson, 68, a resident of Ahmeek, MI passed away on Thursday, April 11, 2019 at Aspirus Wausau Hospital. Neil finally succumbed to a lifelong battle of lasting injuries sustained during the Vietnam War. Neil was born on December 12, 1950, in Laurium, MI to Uno and Agnes (Stukel) Isaacson. He attended the local schools, and graduated from Calumet High School with the Class of 1969. 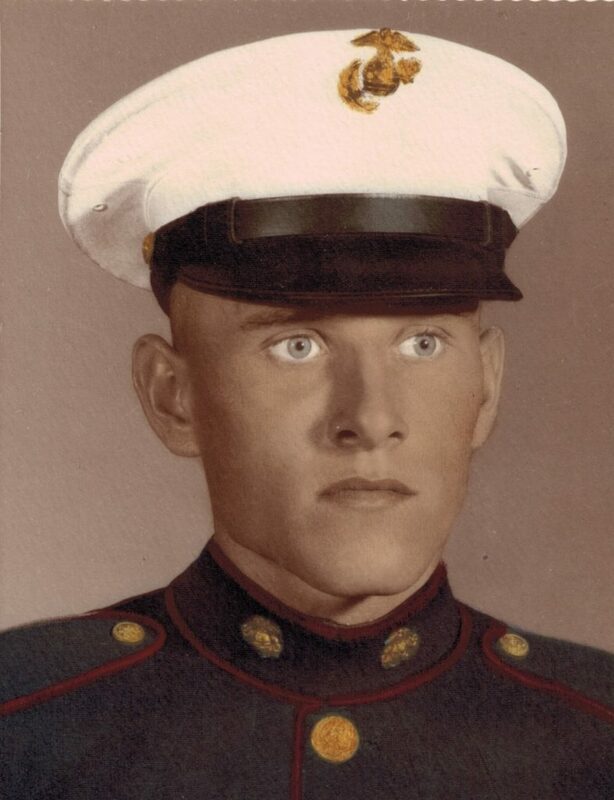 Following high school, Neil enlisted with the United States Marine Corp where he served in the Vietnam War. In 1970, Neil was involved in an explosion suffering major wounds, he spent many years in the Philadelphia Naval Hospital undergoing many surgeries. After overcoming his injuries, Neil moved to Chicago where he attended the Hadley School for the Blind where he started his life learning how to become independent again. After his time in Chicago, Neil moved back to Keweenaw County where he worked with his mom and dad at their resort on Lac La Belle. Neil repaired boat motors at the resort in addition to assisting his mom and dad with creating a thriving business. In 1992, Neil purchased land where the current Sandy Pebbles Golf Course is located. With the help of his family and numerous friends, Neil worked every day on designing, building and eventually operating the golf course. It took approximately 1 year per hole to create, and in 2000, Sandy Pebbles Golf Course opened up for business. Neil was very active in Keweenaw County where he served on the Zoning Board. He was instrumental in pushing for public housing. The result was the construction of the Keweenaw Pines Apartments in Mohawk. He was also very involved with keeping as much land in Keweenaw County open to the public. He assisted in the land transfer at the public beach in Bete Gris, and keeping the road to the mouth of the Gratiot open as well. Neil was involved with Kermits Kids donating golf clubs and course access each summer to the group. He also had a passion for providing resources to specifically benefit local youth organizations. He was a member of the VFW Post #3900, and the Mohawk American Legion Post #230. He is survived by:His parents: Uno and Agnes Isaacson of Ahmeek. His siblings: Richard (Marilyn) Isaacson of Calumet Waterworks, Kathy (Tim) Mallmann of Sheboygan, Wisconsin and Dale Isaacson of Blue Jacket. Dear friends Pat Takacs of Ahmeek, Julie (Brian) Carlson of Mohawk. His nephews and nieces: Amy (Scott) Wieland of Sheboygan, Wisconsin, Ginny (Tom) Korkko Borts of Oak Creek, Wisconsin, Sara (Jason) Arriaga of Alexandria, Virginia, Joel (Katie) Isaacson of Hancock, Matthew (Diana) Korkko of Sheboygan, Wisconsin, Bradley (Jodi) Isaacson of Waukesha, Wisconsin and Jacob (Makayla) Isaacson of Sturgeon Bay, Wisconsin. He is also survived by the remaining Marines of the Combined Action Platoon 2-3-3, numerous cousins, friends and military brothers and sisters. Friends may call at the Erickson Crowley Peterson Funeral Home in Calumet on Saturday, April 20, 2019 from 1:00 pm to 4:30 pm. The funeral service will be held at 4:30 pm on Saturday, April 20, 2019 at the Erickson Crowley Peterson Funeral Home with Pastor Ken Toth and Pastor Bob White to co-officiate. In lieu of expressions of sympathy donations may be sent to Calumet VFW Post #3900 (26628 Larch St, Calumet, MI 49913) or to the Mohawk American Legion Post #230 (122 Stanton Ave, Mohawk, MI 49950). Burial with Veterans Honors will take place in the Lake View Cemetery.